Ironically, opponents of the annexation of the Philippines, notably Senator John W. Daniel used racial arguments to support their case. Senator Daniel's speech below. "Black spirits and white, red spirits and gray, Mingle, mingle, mingle, you that mingle may." We are not only asked to annex the caldron and make it a part of our great, broad, Christian, Anglo-Saxon, American land, but we are asked also to annex the contents and take this brew --mixed races, Chinese, Japanese, Malay Negritos --anybody who has come along in 300 years, in all of their concatenations and colors: and the travelers who have been there tell us and have written in the books that they are not only of all hues and colors, but there are spotted people there, and, what I have never heard of in any other country, there are striped people there with zebra signs upon them. This mess of Asiatic pottage, 7000 miles from the United States, in a land that we can not colonize and can not inhabit, we are told today by the fortune of a righteous war waged for liberty, for the ascendancy of the Declaration of Independence, for the gift of freedom to an adjoining State, we must take up and annex and combine with our own blood and with our own people, and concentrate them with the oil of American citizenship. Mr. President, there has never been since time began such a fatuous notion in the breast of a nation. There has never been such condescension from a high ideal and from a noble and manifest destiny. Not only is the degradation of this American land and of this American race, but the scholars and thinkers of this country, the mighty men who ponder institutions and courses of events, look upon our adoption of these people and our force annexation of them as giving the lie to the whole current of American history and repudiating all the great principles of constitutional freedom which we proclaimed at our beginning and which have tended to nake us great. Mr. President, I have no criticism to pronounce upon my colleagues who differ with me. I have no reproaches for those who see their duty differently. i believe the gentlemen who represented our country in Paris acted honestly and conscientiously. I believe the honorable gentlemen on the other side of the Chamber mean only their country's good; but I am amazed, I am startled,I am thrown away from my ordinary bearings and conception of things to think that such gentlemen and such a body should contemplate the adoption of a treaty that utterly scorns and repudiates our position; that is essentially at war with our institutions; that embodies a country which is no part of the American continent and can not be made so, and that must inevitably take up and work into the destiny of the American people these alien races, or must make us get down from the throne of freedom which we have occupied for 125 years and condescend with the scrambling nations of the world to get what we can, where we can, and how we can, to the repudiation of our national character and of our settled doctrines and principles. 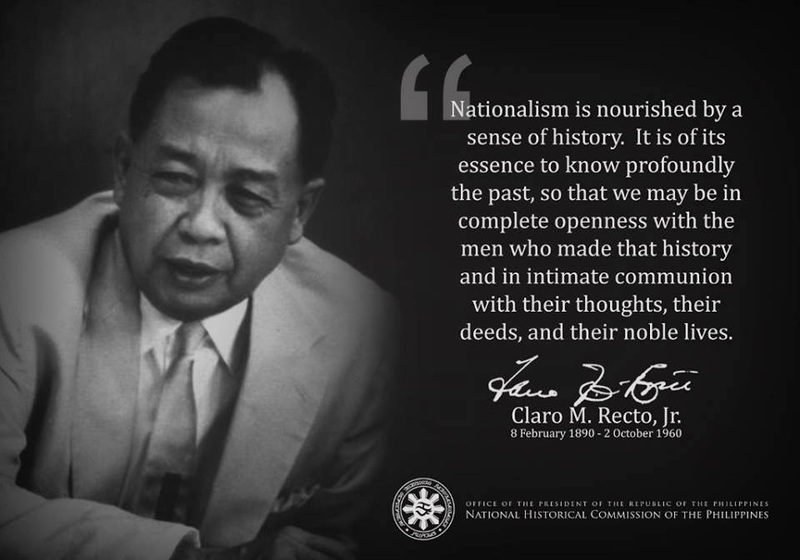 Not in a hundred years, may, not in a thousand years, can we lift the Philippine Islands and the mixed races that there inhabit to the level of civilization which this land, God-blessed, possesses. t is easier to let down and to go down than to rise up. We have risen up through the bloody sweat and turmoil of a thousand years of battle and through bitter experiences which have chastened us. Facilis descensus Averno. The moment this treaty is ratified, in some future age, if such shall be the case, the historian will say at that moment commenced the decline of American institutions and of the great career which America had set forth to herself to lead upon this earth. Anyway you go, this Republic will stand; this people will live for hundreds and a thousand of years to come; but I wish that the longevity of this nation might transcend to anything that ever happened before in all the story of time. I would wish that the Declaration of Independence, instead of being belittled, might be carried nearer and closer to every hearth and hearthstone in all this land; that it might go to the lonely and humble of whatever skin or complexion with the outstretched hand of friendship and with a message of God's love. I would wish that all might be exalted. But whatever happens, let us not go down. We stand today by the bank of a broader and deepen Rubicon than ever Caesar meditated beside. At our feet we hear the swash of the great Pacific Ocean, and beyond lies the expansionists' dream --Caesar's Rome. Caesar never did wrong without just cause. That is the imperialistic plea, America will not do wrong without a great temptation. That today is the expansionists' plea. For my country I hope that she will ne'er do wrong.